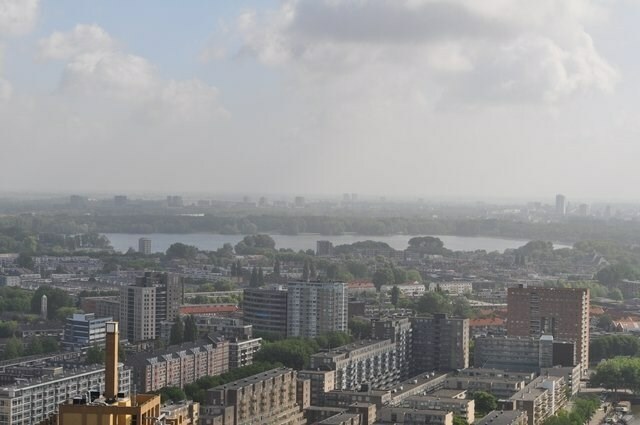 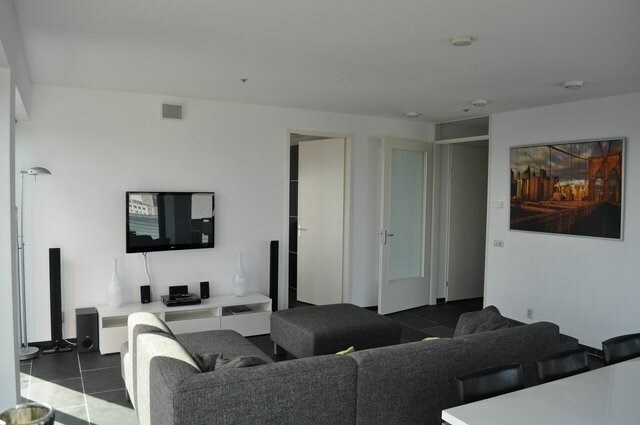 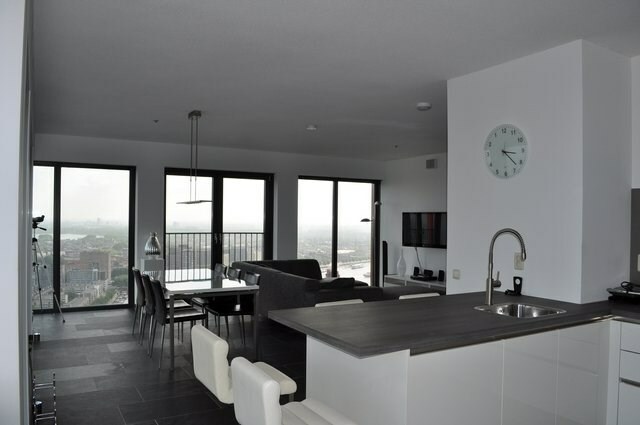 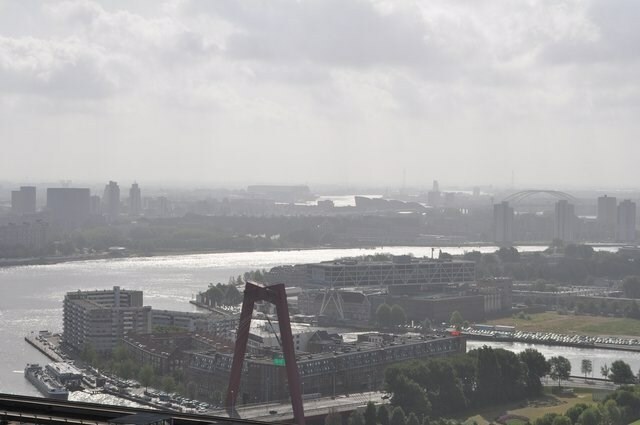 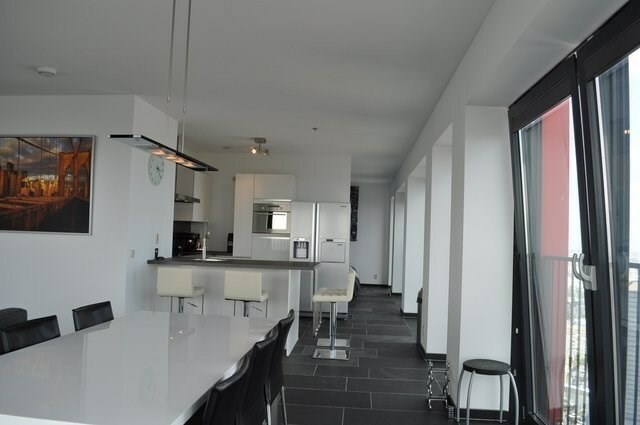 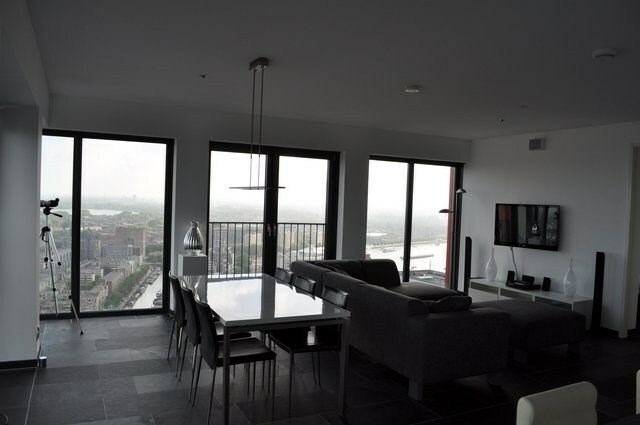 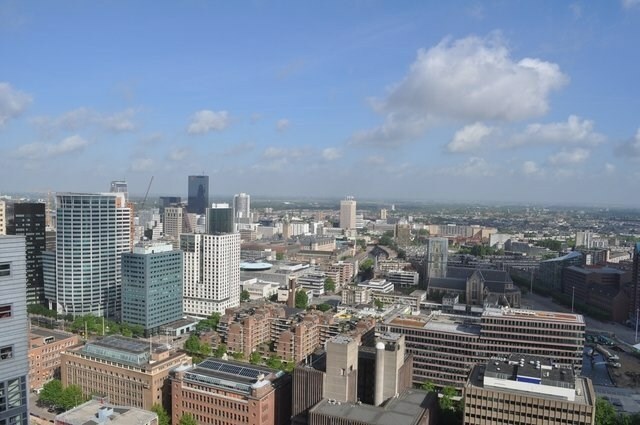 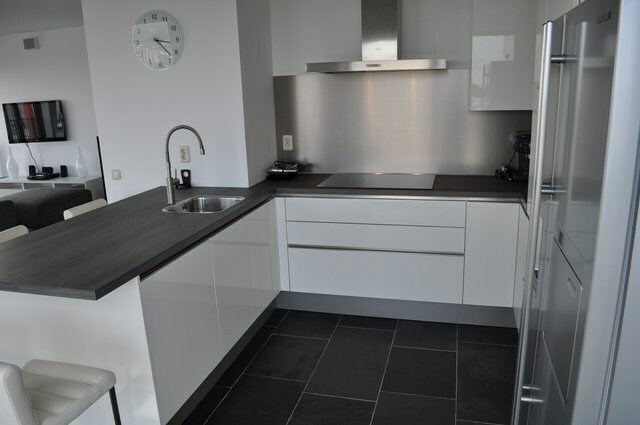 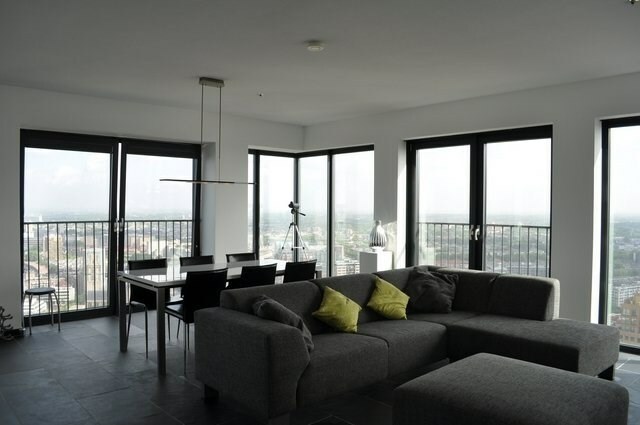 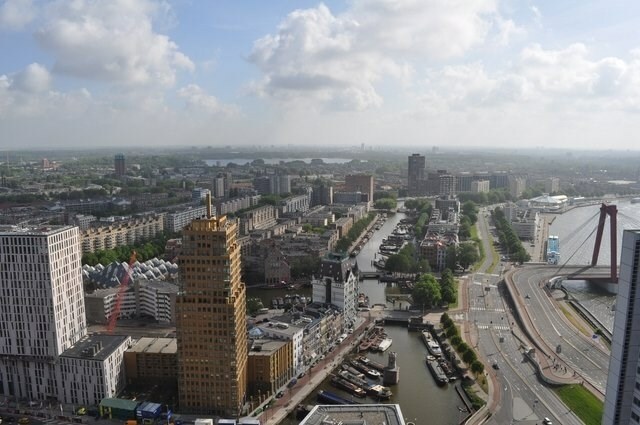 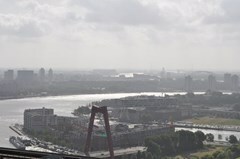 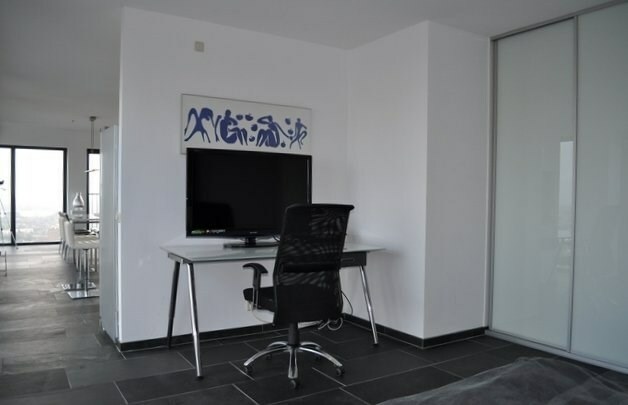 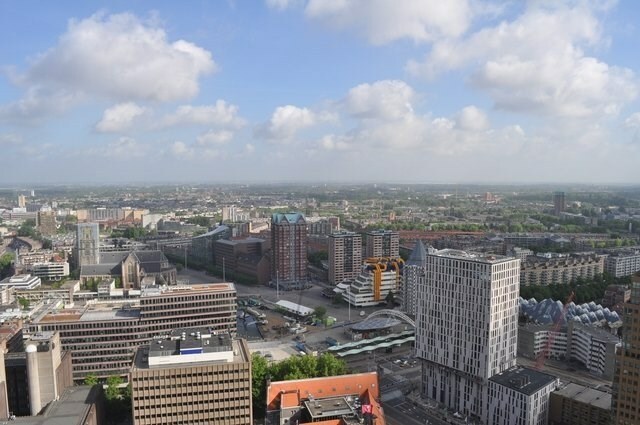 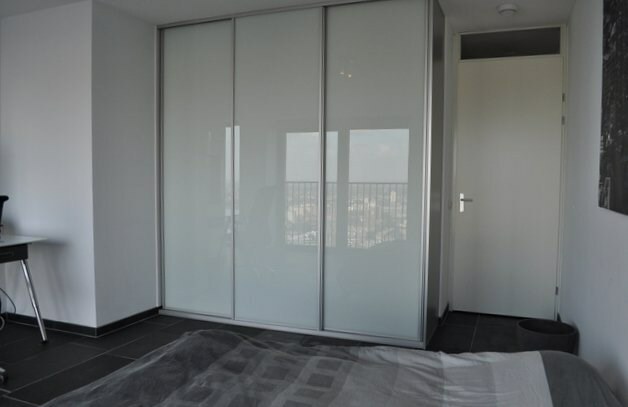 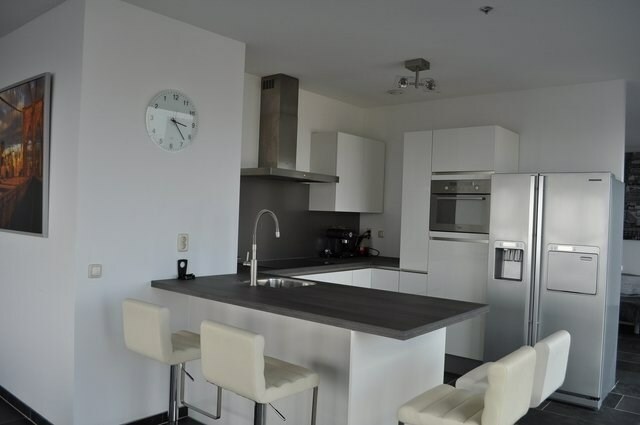 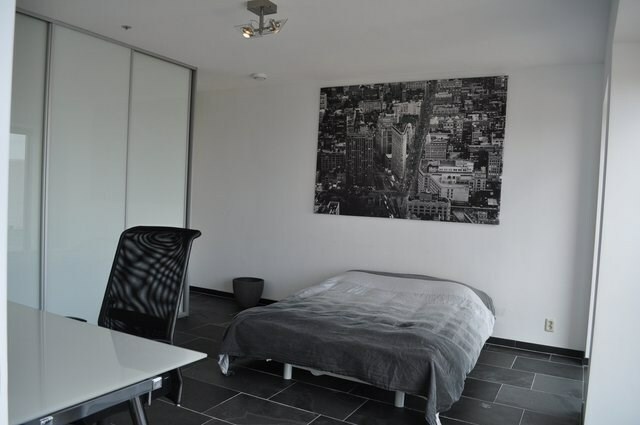 Very spacious & luxurious furnished 3-room apartment, located on the 36th floor with lift in new very well-kept building (The red Apple) with a beautiful view on the river the Maas and the city of Rotterdam. 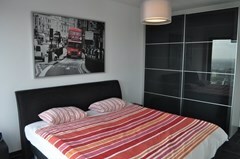 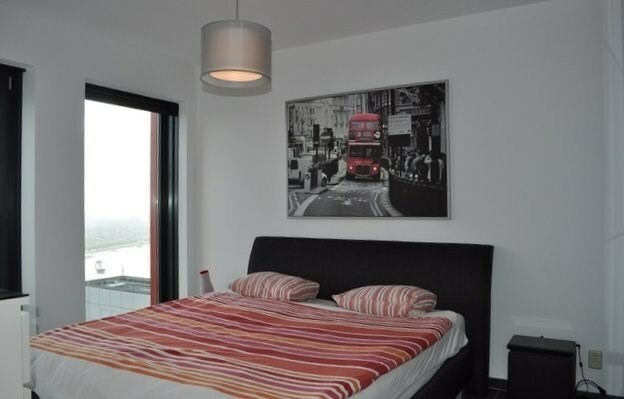 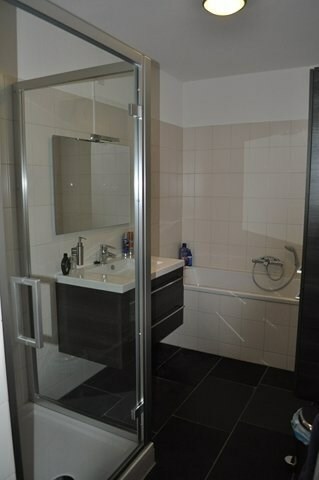 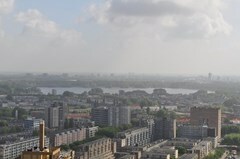 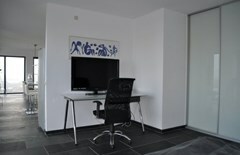 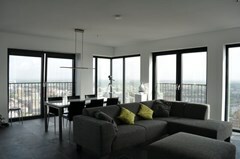 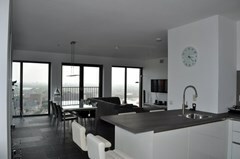 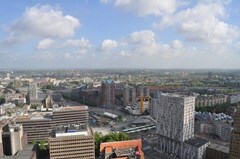 On walking distance to the tram, metro and station Blaak, also very nice restaurants, shops and exit higway are nearby. entrance, hallway, toilet with sink; large bathroom with sink, bath and separate showercabine; spacious living room with a lot of windows which create a lot of daylight, Tiled floor with underfloor heating (in the summer floor cooling), fully equipped open kitchen with large fridge/freezer, ceramic cooker, microwave/oven combination, dishwasher; storage room with washer and dryer, ironing & wardrobe space; 1 spacious masterbedroom with double bed and wardrobe, 2nd bedroom/study with desk, flatsceen TV, sofa and wardrobe. 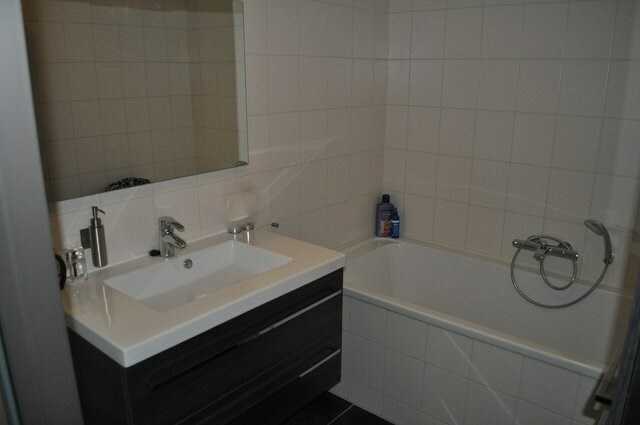 Total surface apartment approx. 115m2.